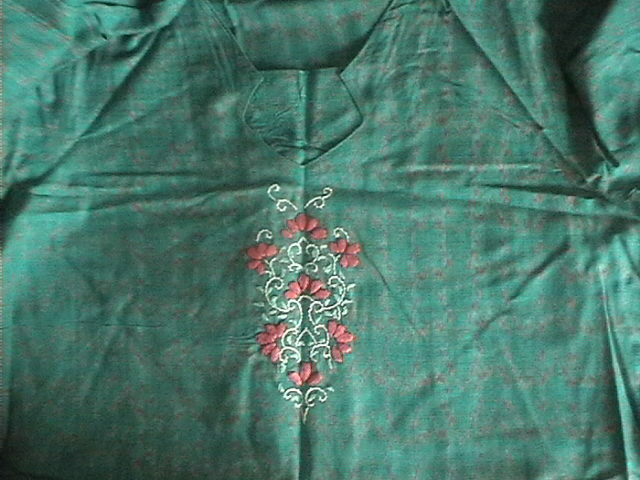 I had posted a red ikat tunic here. 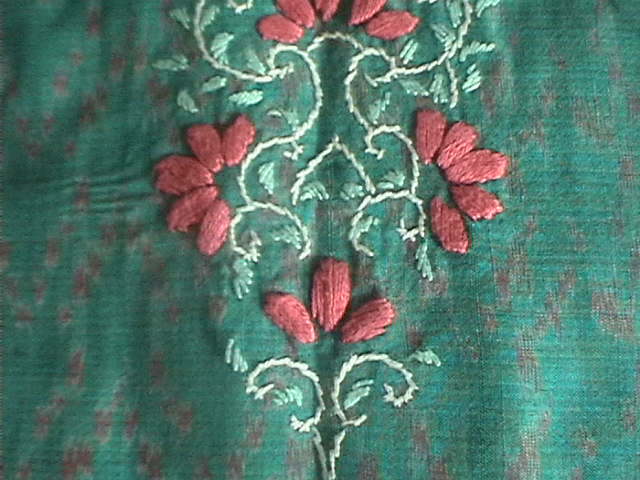 The yoke was taken from this old tunic. 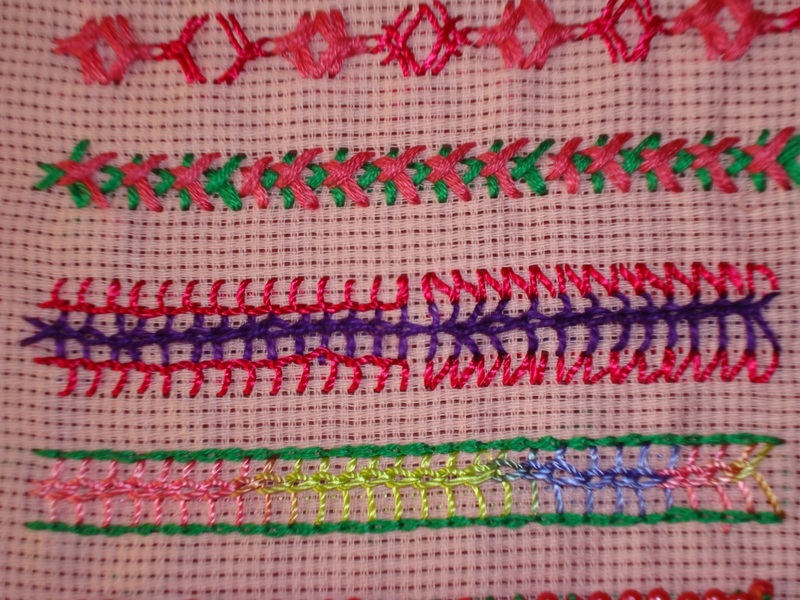 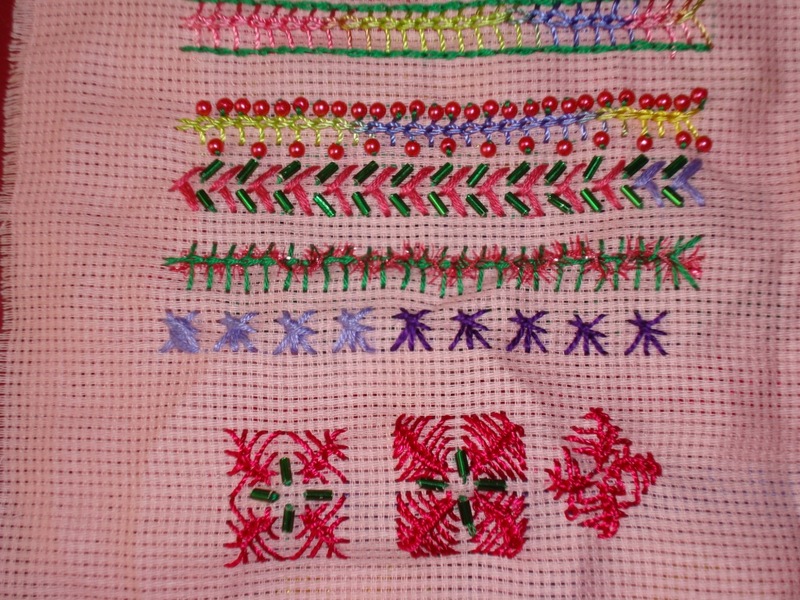 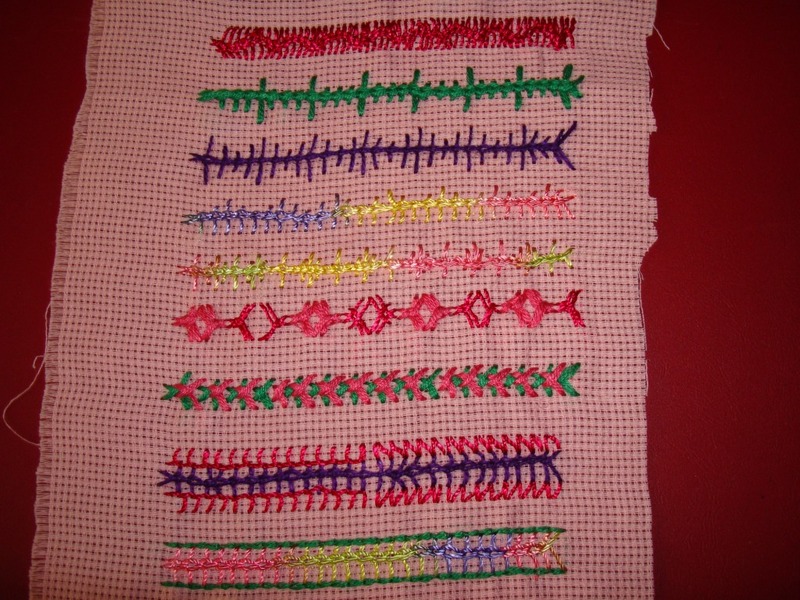 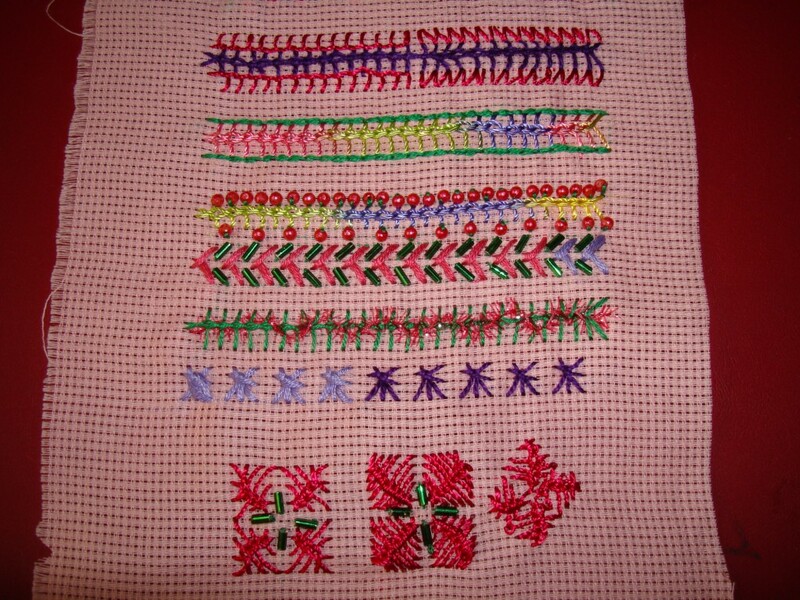 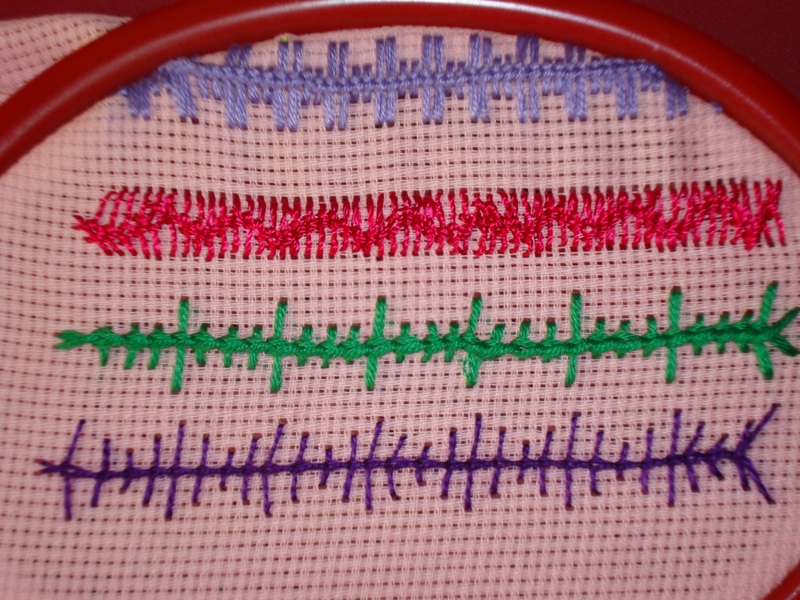 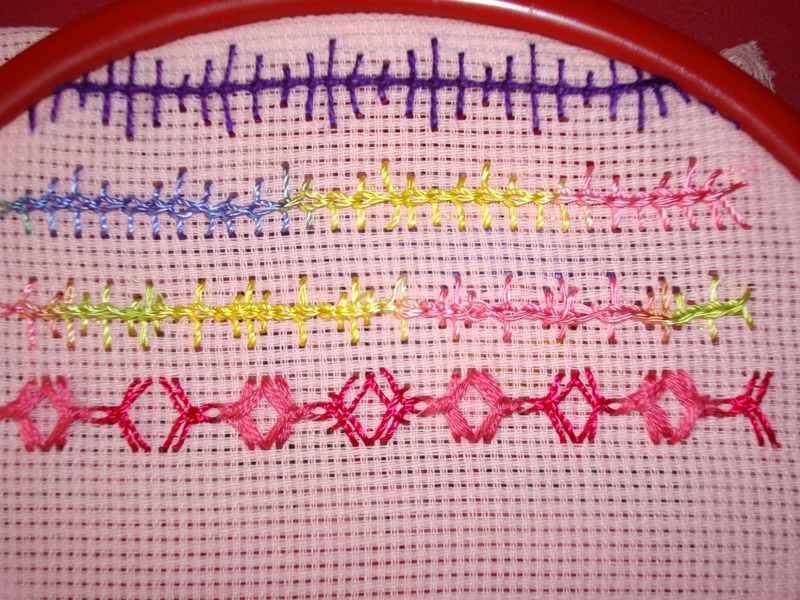 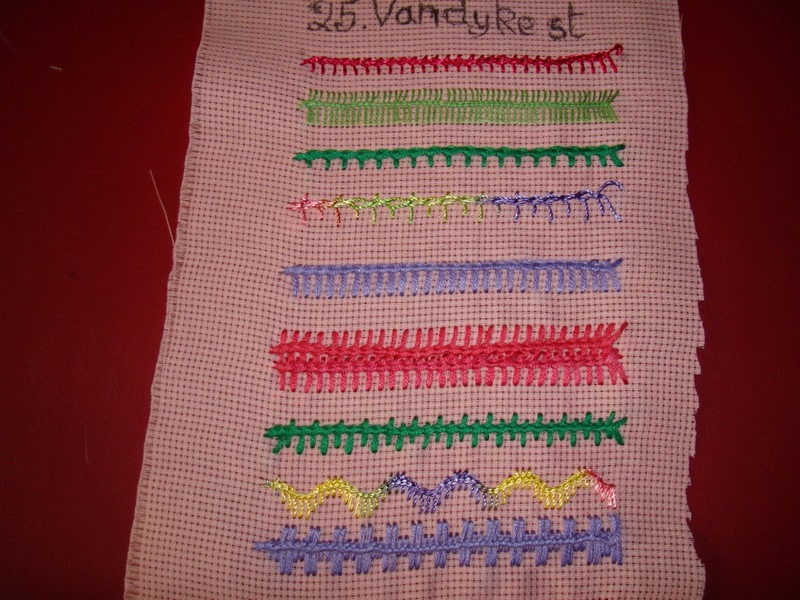 Embroidery-the main show is mirrorwork, spaces filled with straight and herringbone stitches. 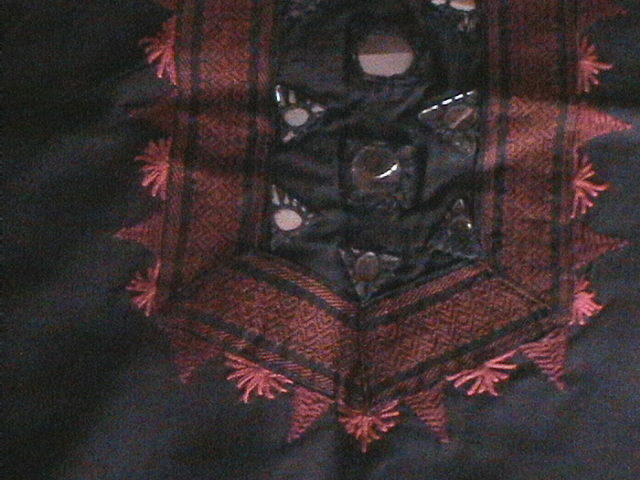 I wore a red block printed[in black] salwar for this tunic. 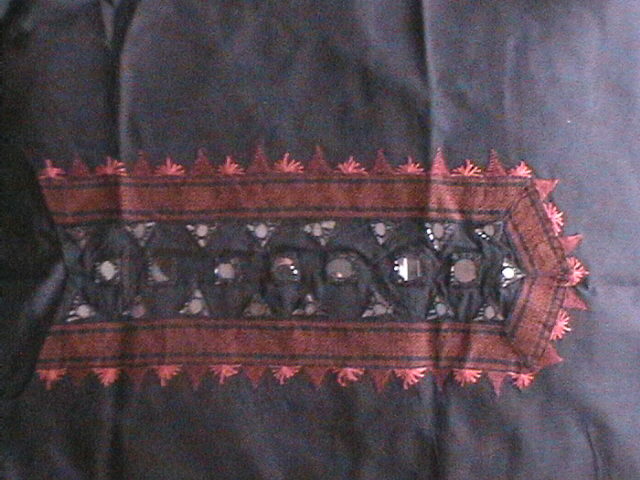 Mangalagiri cotton was so soft,even being black,it felt cool in summer.